The latest wedding food and drink trend to catch our attention is one that’s perfect for summer weddings… food trucks! Channeling festival vibes and street food flavours, food trucks are a really fun way to add a bit of personality to your wedding and do something a little different from a traditional three course meal. 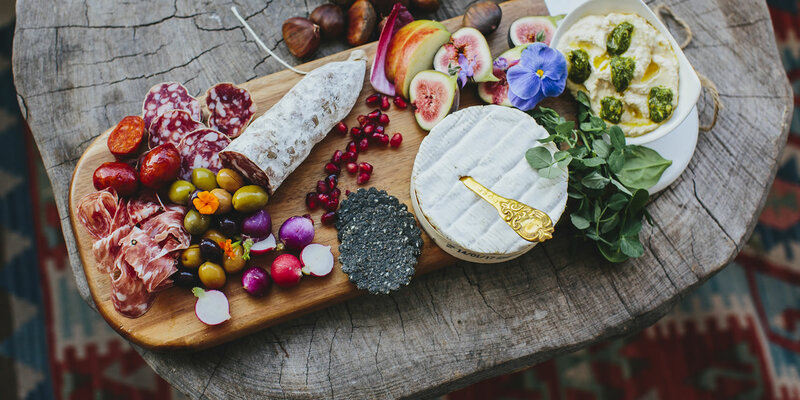 If you love relaxed, boho weddings and interesting food from across the world, this could be the perfect wedding food trend for you. Here are a few of our favourite ideas for incorporating food trucks into the celebrations on your big day. What could be better than a mini food festival at your wedding? Forget traditional sit-down meals and make things a bit more casual and interactive with your own personal food festival. This works particularly well at rustic, outdoor venues such as converted barns or outdoor gazebos. Gather together a few of your favourite food trucks from local markets and festivals, then set up your own mini version at the venue. This will allow guests to choose from a wide variety of delicious dishes and share food with friends in a really fun way. Opt for a few different food trucks, serving up different cuisines and styles of food, to really get the food festival atmosphere going. A really cool idea is to source a few local food trucks who specialise in food from destinations that mean something to you as a couple. Perhaps you met on holiday in Italy, got engaged in Paris or went backpacking together in Thailand - perfect for pizza, crepes and Pad Thai! Pick out a few of your favourite destinations from around the world, and build your food truck menu around that. From pizza and burgers to Thai and Indian street food, the possibilities are endless. Work with your caterers to choose a couple of signature dishes (along with a choice of side orders) from each location. Once you’ve got the food trucks sorted, don’t forget about the drinks too! There are lots of mobile bars available for hire to add something extra special to your big day. From prosecco vans and gin trucks to cocktails delivered on the back of a bicycle, there are lots of quirky options to choose from. If you love the idea of food trucks, but don’t quite have the space or budget to make a mini food festival a reality, there are other ways you can incorporate the spirit of this trend into your wedding. Work with your caterers to create a street food inspired menu, full of delicious flavours and tasty bites. Street food lends itself really well to a casual style of dining, with big sharing platters in the middle of the table for everyone to help themselves. Make sure your table styling matches the street food vibes - forget formal crockery and cutlery, and opt for a cool, modern and relaxed tablescape with bright place settings and a help-yourself element to the plates and cutlery.